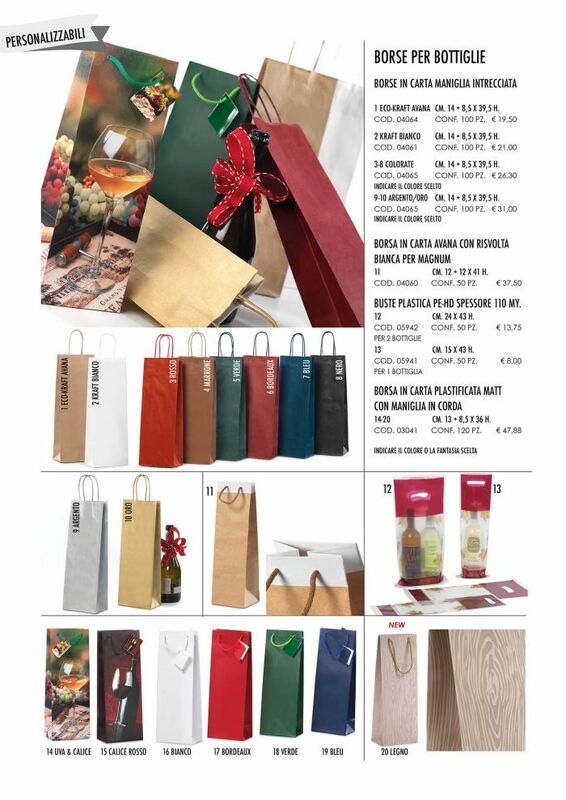 11 BORSA IN CARTA AVANA CM.12+12X41 H. PER MAGNUM CON RISVOLTA BIANCA E MANICI IN CORDA. 12 BUSTA 2 BOTTIGLIE PE-HD CM.24X43 H. SPESS.110 MY. 13 BUSTA 1 BOTTIGLIA PE-HD CM.15X43 H. SPESS.110 MY.